“Nearly 24 million children in the United States, or 34 percent of all such children, live apart from their biological father. Forty percent of children who live in households without a father have not seen their father in at least one year. If you are divorced and are the noncustodial parent, then you probably have experienced first-hand the inequity that exists in divorce and child custody cases. Restrictive visitation rules — or parenting plans, as they are now called — often accompany sole custody awards regardless of circumstance. Many status quo parenting plans are not based on a presumption of shared parenting, nor do they promote a father’s presence in a child’s life after divorce. Additionally, for parents, and more commonly fathers, who are noncustodial parents and want to have a close, loving, supportive and active role in their children’s lives, a mother’s sole custodial award results in a near impossible visitation schedule and a set of circumstances keeping them from being anything other than a mere “visitor” to their children. The conditions for noncustodial parents are deplorable, marginalizing, and often create circumstances that push them out of their children’s lives, creating a preponderance of fatherless homes. In addition, economic hardships, an inability to see the children regularly due to restrictive parenting plans, and the sole custodian’s intentional interference create an unequal balance in the children’s lives. Statistics clearly show the result is the noncustodial parent’s difficulty in maintaining a close relationship with the child. A national study found that 77 percent of noncustodial fathers are not able to visit their children, as ordered by the court, due to “visitation interference” perpetuated by the custodial parent. Two other peer-reviewed studies indicate that 40 percent of mothers reported that they had interfered with the noncustodial father’s visitation on at least one occasion to punish the ex-spouse. And approximately 50 percent of mothers see no value in the father’s continued contact with his children. If the United States wants fathers to be more involved in their children’s lives, then 24 million children’s living circumstances cannot be ignored. In addition to promoting a father’s involvement, legal policy must be altered to encourage shared parenting. Only when the laws protect a father’s relationship with his children will society begin to accept that fathers are equally capable of raising a child. Then, and only then, a father will have no need to “win” sole custody of his children to protect his relationship with them. If a sole custody presumption promotes a father’s presence, then it fails, and it fails big time. We absolutely do not want to promote an impression that a father’s financial obligations through child support are more important for the child’s welfare than the actual contact a child has with that parent. It is undeniably in the child’s best interest to have both parents raise, provide for, and have the ability to make decisions regarding the upbringing of a child, if they are considered fit to do so. Jason Aulicino of Eugene (DivorcedChildrensRights@gmail.com), a father and an advocate for divorced children’s rights, is a graduate student in Conflict and Dispute Resolution at the University of Oregon School of Law. Communicationhelper: After divorce fathers excluded from families. The U.S. Supreme Court will hear oral arguments Monday in a case that seeks to define an aspect of custody rights under the Hague Convention on the Civil Aspects of International Child Abduction. The mother involved is a U.S. citizen. The father is British, and the prior country of residence of the child is Chile. The child is now in the United States. The issue seems to be a very technical one, but legal observers said they believe the case will have an impact on international child custody battles where one parent abducts a child to or from the United States. Timothy and Jacquelyn Abbott were married in 1992 in England, and their son was born in Hawaii in 1995. They divorced in Chile, and the court there gave custody of the child to the mother and gave the father visitation rights. A key element of the decision was that the court in Chile issued a ne exeat order preventing either parent from taking the child from Chile without the agreement of the other. Mrs. Abbott took her son to Texas without the consent of the ex-husband, who managed to locate the boy. He went to court and said that the Hague convention required that a child who has been removed contrary to a custody order be returned to the country of residence. The technical question is if the ne exeat order represents a right of custody. A trial court and the Fifth Circuit Court of Appeals agreed with the wife that the legal order only provides a right of access to the father and not a right of custody. Her lawyers also argued that having custody also means having the right to choose where the child lives. A number of organizations have filed briefs that support the position of one or the other parent. Some domestic violence organizations said they fear that accepting the order as a right of custody would prevent wives from fleeing from abuse. A decision for the father by the Supreme Court would strengthen the rights of non-custodial parents involved in international parenting disputes. The main goal of the Hague convention is to insure that the legal decisions of one country are respected in another. The international treaty is designed to prevent spouses from shopping for a favorable venue for their custody battles. The Abbott case involves a U.S. mother trying to keep her son there contrary to a custody decision in another country. In Costa Rica the situation usually is a mother trying to keep her child or children here in the face of a custody decision in another country, frequently the United States. Communicationhelper: Supreme Court to hear custody case. In severe PAS the child is often fanatic or obsessional in his/her hatred of the target parent. For this reason alone the PAS-inducing parent no longer needs to be active, although the PAS–inducing parent will resort to anything to prevent the child maintaining a relationship with the targeted parent. The child takes on the PAS-inducing parent’s desires, emotions and hatreds and verbalises them all as its own. The child views the history of the targeted parent and the targeted parent’s family as all negative and is unable to either remember or express any positive feelings for the target parent. 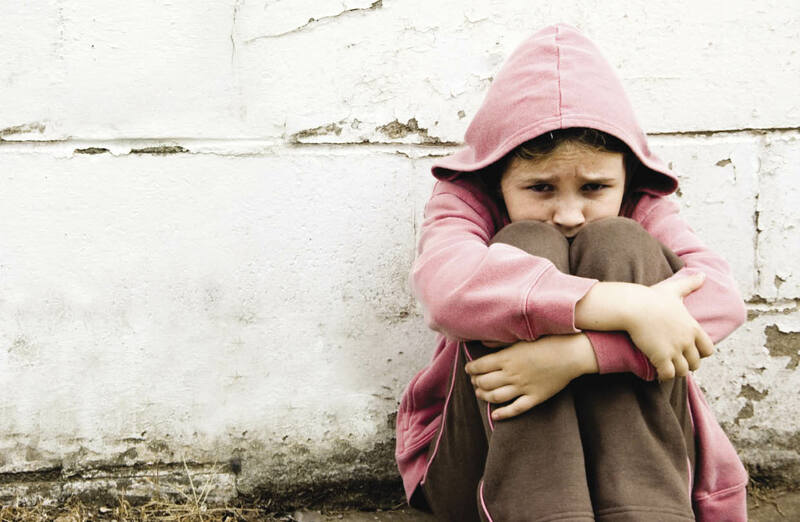 The child is very likely to refuse Contact, make false allegations of abuse, threaten to run away, threaten to commit suicide or even murder – if forced to see the targeted parent. The PAS-inducing parent will hold little or no value for the targeted parent and hatred may be completely overt. The child and the alienating parent have a pathological bond that is invariably based on shared paranoid fantasies of the targeted parent, sometimes to the point of folie a deux. They have a relentless hatred for towards the targeted parent. They parrot the Obsessed Alienator. The beliefs are delusional and frequently irrational. They are not intimidated by the court. Frequently, their reasons are not based on personal experiences with the targeted parent but reflect what they are told by the Obsessed Alienator. They have difficulty making any differentiate between the two. The child has no ambivalence in his feelings; it’s all hatred with no ability to see the good. They have no capacity to feel guilty about how they behave towards the targeted parent or forgive any past indiscretions. They share the Obsessed Alienators cause. Together, they are in lockstep to denigrate the hated parent. The children’s obsessional hatred extends to the targeted parent’s extended family without any guilt or remorse. They can appear like normal healthy children until asked about the targeted parent that triggers their hatred. Children in the severe category are generally quite disturbed and are usually fanatic. They join together with their alienating parent in a folie à deux relationship in which they share her paranoid fantasies about the alienated parent. All eight of the primary symptomatic manifestations are likely to be present to a significant degree, even more prominent than in the moderate category. Children in this category may become panic-stricken over the prospect of visiting with their alienated parent. Their blood-curdling shrieks, panicked states, and rage outbursts may be so severe that visitation is impossible. If placed in the alienated parent’s home they may run away, become paralyzed with morbid fear, or may become so continuously provocative and so destructive that removal becomes necessary. Unlike children in the moderate and mild categories, their panic and hostility may not be reduced in the alienated parent’s home, even when separated from their alienating parents for significant periods. Whereas in the mild and moderate categories the children’s primary motive is to strengthen the stronger, healthy psychological bond with the alienating parent, in the severe category the psychological bond with the alienating parent is pathological (often paranoid) and the symptoms serve to strengthen this pathological bond. The Tieton Truth Seekers: Severely Alienated Child of Parental Alienation. In an era of bitter divorce battles, parents often use children as hammers to bash each other, manipulating not only the legal system but also their children’s affections. Can a broken parent-child bond be restored? She worked full-time as a legal secretary to put him through medical school. She also bought the two of them a town house with money she’d saved before marriage. When she gave birth to a boy, Matt (not his real name), she was as happy as she’d ever been. Over time, she saw signs that her husband was cheating on her, but she always forgave him. Their second son, Robby, was born autistic, and things went downhill fast. The boy had speech and learning problems and was frequently out of control. Her husband was appalled. “He’s dumber than a fish,” he said. Still, they had one more child, Harry (the name has been changed), hoping to give Matt a sibling without Robby’s problems. Harry turned out normal, but he bonded most closely with Robby; they became inseparable. When Cathy once again became convinced her husband was cheating—he inexplicably never came home one night—she finally threw him out. He filed for divorce before she could forgive him again. Cathy was granted primary custody of the kids, and her ex soon married the woman he’d been seeing on the side. Because of all she had to do to help Robby as well as her other two kids, Cathy could no longer hold a full-time job. Meanwhile, her ex declared two bankruptcies and, at one point, even mental disability, all of which kept alimony payments to a trickle. Eventually Cathy was so broke that her electricity was turned off; she and the boys ate dinner by candlelight. Then she became so ill she had to be hospitalized for life-threatening surgery. She had no choice but to leave the kids with her ex. “He promised to return them when my health and finances improved,” she says. That was almost seven years ago. Her health has long since returned and she has a good job she can do from home, but the only child ever restored to her, despite nonstop court battles, was Robby. In fact, her ex got the courts to rule that the children should be permanently separated, leaving the other two children with him, since Robby was a “threat” to his younger brother’s well-being. Through all those years, Cathy says she faced a campaign of systematic alienation from Matt and Harry. “When I called to speak to them, I was usually greeted with coldness or anger, and often the boys weren’t brought to the phone. Then my ex sent letters warning me not to call them at home at all. Whenever the kids came to stay with me, they’d report, ‘Dad says you’re evil. He says you wrecked the marriage.’ ” Then he moved thousands of miles away, making it vastly more difficult for her to see her children. Divorcing parents have long bashed each other in hopes of winning points with kids. But today, the strategy of blame encompasses a psychological concept of parental alienation that is increasingly used—and misused—in the courts. On the one hand, with so many contentious divorces, parents like Cathy Mannis have been tragically alienated from the children they love. On the other hand, parental alienation has been seized as a strategic tool in custody fights, its effects exploited in the courtroom, often to the detriment of loving parents protecting children from true neglect or abuse. With the impact of alienation so devastating—and false accusations so prevalent—it may take a judge with the wisdom of Solomon to differentiate between the two faces of alienation: a truly toxic parent and his or her victimized children versus manipulation of the legal system to claim damage where none exists. A Symptom Of Our Time? Divorce affects one million new children every year. Of these children, approximately 20% of their parents remain in conflict, with little, if any, cooperation (Garrity & Baris, 1994; Kelly, 2005). When children get caught in the middle of parental conflict, they are at risk for many psychosocial problems, including alignment with one parent against the other (e.g., Amato, 1994; Johnston, 1994; Wallerstein, Lewis, & Blakeslee, 2001; Wallerstein & Blakeslee, 1996). Especially problematic is when the alignment becomes so entrenched that children join forces with one parent to completely reject and denigrate the other, once-loved parent (Darnall, 1998; Wallerstein & Kelly 1980; Warshak, 2001). Parents who encourage such alignments employ parental alienation (PA) strategies designed to turn a child against the other, targeted parent. The alienating parent is often filled with hatred, blame, anger, and shame and lacks awareness of the separate and independent needs of the children to have a relationship with the other parent (Ellis, 2005; Gardner, 1998; Rand, 1997). Through various strategies such as bad-mouthing, limiting contact, belittling, and withdrawing love, the alienating parent creates the impression that the targeted parent is dangerous, unloving, or unworthy, thus compelling the child to reject that parent (Baker, 2007a; Baker & Darnall, 2006). At its most extreme, when a child completely rejects the targeted parent, the result is referred to as severe alienation or parental alienation syndrome (PAS) (Gardner, 1998). Mental health providers are among the first professionals to whom the targeted parents of alienated children turn to for help for their children or to whom courts refer for answers to accusations of brainwashing (Ellis, 2000). These parents and courts count on therapists to help whether it is to prevent continuing litigation in clogged courtrooms, or to intervene with counseling, as well as to give the parents supportive tools to repair and sustain the parent-child relationship. Because therapists are one of the first resources courts and parents use, they must be knowledgeable in the field of parental alienation and high-conflict divorce. They must be able to tolerate conflicting data from parents and children while searching for emotional truth within the children being counseled (Vestal, 1999). Along the same lines, Wallerstein insightfully comments in her forward to Marquardt’s (2005) book Between Two Worlds that what is needed is “an honest recognition of the experience of children” (p. xvii). In order to more honestly recognize and understand the experience of these children, mental health professionals must begin with the available knowledge that they currently have, incomplete as it is. To delay treatment due to incomplete information would be akin to a medical doctor refusing to treat a bleeding patient because he or she did not know what had caused the wound, and thus, by his or her refusal to treat the wound, the patient bleeds to death. Working with Alienated Children & Their Targeted Parents: Suggestions for Sound Practices for Mental Health Professionals « Parental Alienation Support. Currently our laws grossly ignore parental alienation as nothing more than an act of absconding (ie, running away). However, running away means to take oneself. Abduction and kidnapping means to take someone else. Most children are too young or too used to going with a parent that they are unaware that any crime is being committed and in many cases are brainwashed into thinking that they were being abused. Currently in most states, courts and law enforcement reduce the act of parental alienation to nothing more than a civil matter that is misclassified as absconding. Any parent and child(ren) who has been through parental alienation know that it is nothing shy of abduction, kidnapping and in some cases holding a child for ransom. As you can see from the Webster dictionary definitions it is clear that to abscond is to “hide oneself” where abduct is “to seize and take away.” Many children are not old enough to know what is happening to them and therefore the act of parental alienation is a gross injustice. Currently this biased view gives unjust enrichment and discriminatory power to one parent. By simply creating the custody order at the time of birth you can resolve nearly 100% all of parental alienations and reduce courts caseload dramatically because you have removed a HUGE grey area that plague parents, children, law enforcement and the courts. Parental Alienation is just starting to be recognized as a serious form child and spousal abuse and therefore I must ask that we give children and both biological parents the justice that they deserve. Our children are more than “just a civil matter”; they are humans who rate human rights, they are children who rate biological rights and they are citizens who should be protected by our states and above all else our nation. Our current child support system, our courts, and attorneys are given the power and authority to hold children hostage for money. I am calling for revisions to all U.S. Federal, State and Local Codes to reflect that acts of parental alienation are felony acts of child abduction and/or kidnapping as may apply to each case. Many acts of parental alienation are malicious acts of vengeance against the other spouse and therefore need to be judged according to the time a child is kept from the other biological parent barring true and just cause. Limiting the amount of time that a child can be kept from visitation, communication and other legal rights that both biological parents possess would help reduce the courts case loads. California Men’s Centers, San Diego » Blog Archive » Parental Alienation is Kidnapping. Many parent kidnap their children both internationally, but also in great numbers here in the United States. Right now, the US State Department estimates that there are 3,000 cases of US citizens/children kidnapped to other countries. But in the United States, how many moms and dads take their kids in direct defiance of court orders, poison children’s minds against the fathers, sometimes mothers? It must be in the hundreds of thousands, and over the past decade, millions of children have been Parental Alienated from the other parent. Who’s to blame, parents mainly, but the vase majority of cases arise out of false allegations of abuse, and the misuse/abuse DV restraining orders to gain the advantage in child custody cases. Those words were all he wanted to hear. Barry’s son David Goldman won custody of his 9-year-old son Sean earlier this morning after his now-deceased ex-wife’s family handed the boy over to him after a 4 1/2-year legal struggle to get the boy back from her relatives in Brazil. “I couldn’t have hoped for a better gift for the holidays – this is the best,” Barry Goldman told reporters outside his home in the Wayside section of Ocean Township, Monmouth County. Barry Goldman got a phone call early this morning from his son, David, reporting Sean was with him. “I’m thrilled. (David) is thrilled, and it seems like (Sean) is thrilled to be coming home,” Barry Goldman said of his brief exchange of words with his son and grandson. The family of David Goldman’s ex-wife turned the boy over about 25 minutes before the 9 a.m. deadline this morning. It’s been nearly five years since Barry Goldman last saw his grandson, when they said their good-byes at a send-off breakfast at a Little Silver restaurant as the boy and his mother were headed off for what was supposed to be a 2-week vacation in Brazil. Mother and son never returned. Bruna Goldman, Sean’s mother, who became known as Bruna Lins e Silva after she remarried in Brazil, died on Aug. 22, 2008 after giving birth to a baby girl in Rio de Janeiro. Her Brazilian husband and his family have kept Sean in Brazil since then. Barry Goldman described their actions as a classic case of parental alienation. “They’ve been working on him (Sean) to not want to come back, but it didn’t work,” Barry Goldman said. With Sean on his way back to New Jersey, Barry Goldman said he wanted to get away from the past and start looking toward the future. “He used to run around the room and try to knock me down, but he couldn’t. But he probably can now. He’s bigger and I’ve gotten smaller,” Barry Goldman quipped with reporters as he talked about his desire to see Sean return to a normal life. “He’s going to be a real American boy,” Barry Goldman predicted. A relieved grandfather hears Sean Goldman’s voice: “Hi, Pop Pop” | APP.com | Asbury Park Press. One of my favorite myths is the one about waiting one hour after eating before swimming. I’ve always wondered—why can’t someone swim immediately after eating a small salad? And should anyone swim only one hour after eating a big Thanksgiving dinner? After all, some people need at least one hour just to move from the table to the couch after finishing a Thanksgiving meal with all the trimmings. For legal and mental health professionals working divorce and child custody cases, one subject that is rapidly reach­ing mythic proportion is parental alienation. The concept of parental alienation is pretty simple – one parent deliber­ately damages, and in some cases destroys, the previously healthy, loving relationship between his or her child and the child’s other parent. In a severe case the alienating parent and child work together to successfully eliminate the previously loved Mom or Dad from the child’s life. Their campaign is aimed at destroying Mom or Dad’s position as a loving parent and responsible adult. The late Dr. Richard A. Gardner, author of The Parental Alienation Syndrome: A Guide of Legal and Mental Health Professionals, coined the term parental alienation almost 20 years ago to characterize the breakdown of previously normal, healthy parent/child relationships during divorce and child custody cases. Yet the United States judicial system pays little, if any, attention to parental alienation. The legal and psychological communities often mistakenly dismiss alienation as the typical rancor associated with high conflict divorce and child custody cases. This misdiag­nosis has given birth to four parental alienation myths. The first myth is that once the divorce and child custody proceedings end, the alienating actions will end too. “The key factor that is characteristic in all parental alienation families is the alienating parent’s real or perceived fear of abandonment,” says David Israel, a Connecticut clinical psychologist who specializes in child advocacy and family mediation. “During a divorce, the alienating parent feels an intense level of abandonment and betrayal. This parent uses his or her child to fill the void left by the divorce and destroy a relationship that is loved and cherished by the other parent. The second myth surrounding parental alienation is that it is purely, “a father’s issue.” In fact, critics often claim that fathers who accuse mothers of alienation are merely abusive men using parental alienation as a defense during custody hearings against well-deserved physical and/or sexual abuse charges. The myth that parental alienation is nothing more than the abusive husband and father’s defense ignores the fact that many loving mothers are alienated from their children by the children’s fathers. In any event, parents, both male and female, often exaggerate their situations during contested custody proceedings and cry abuse or alienation when none exists. Why? Because the entire concept of family court law is based on the premise that one side will use whatever means necessary to outwit and discredit the other side in front of the judge. Insincerity, half-truths and lies of omission are standard operating procedure in family court. The judge is responsible for sorting it all out. When parental alienation allegations are present, mental health professionals are responsible for helping the judge sort it all out. In mild and moderate alienation cases, parents and therapists can often successfully address the problem without involving the court. But in severe cases, getting the alienating parent and alienated child to cooperate with the thera­pist in a timely fashion is the judge’s job. He or she is the only person with the power to put the alienated child in the therapist’s office. Judges are often reluctant to impose any punishment on the alienating parent that might cause the child any more pain. However, empty threats won’t convince a severely alienating parent to help, or at least not sabotage, efforts to rebuild the child’s relationship with the other parent. In the most severe alienation cases, judges must consider extreme measures such as fines, jail time and even a change of custody in order to get the alienating parent’s coop­eration. The fourth and last myth is that alienation isn’t even a legitimate issue because it isn’t listed in the DSM — the psy­chology profession’s Diagnostic and Statistical Manual. The manual is the clinician’s bible – a guide to symptoms and syndromes and the definitive diagnosis on any legitimate mental health condition. The latest edition of the DSM is the DSM-IV-TR, the fourth edition with revised text. The DSM is an evolving docu­ment. At one time the DSM listed homosexuality as a deviant condition – an illness or sickness. Not any longer. Conversely, at one time anorexia didn’t exist, diagnostic wise, in the DSM. Today it does. F.R.A.M.E.D. – Family Rights And Many Ending Discrimination: Four Myths of Parental Alienation. “I have seen the very real existence of Parental Alienation Syndrome in case after case where one parent is enraged at the other and proceeds to poison the children against the ‘enemy’ parent. While many times it is a father who is demonized by an angry mother, the gender of the parent being turned into a ‘monster’ by the custodial parent can be reversed. Who the victim of P.A.S. turns out to be is entirely dependent upon the willingness of the parent with physical custody to ‘brainwash’ a child against the other parent. The loss of the child’s relationship to the hated ex-spouse delivers a message that this is the price you will pay for getting a divorce.”–Harvard Medical School Psychiatry Professor Henry J. Friedman, New York Times, 10/17/08. “In some cases, it’s clear that the child is actively being taught to hate the parent”–Dr. Richard A. Warshak, author of Divorce Poison. “I’ve seen several dramatic cases where the father was the alienator. In one case, the father had no control over his obsession to trash the mother. I expect this show to have a major impact in educating the public about the suffering of children who have been turned against a parent, and about what can be done to help ease a child’s transition back to a rejected parent. The segment will be anchored by 20/20 reporter Chris Cuomo. This topic, mental child abuse, is vastly misunderstood by parents, therapists, judges, and lawyers alike, so I’m excited that it will be in front of a national audience. Dr. Warshak is the foremost authority on parent-child alienation, so ABC did great in choosing to interview him. The segment should air in the first hour of the 2 hour show (9-11pm EST). expect this show to have a major impact in educating the public about the suffering of children who have been turned against a parent, and about what can be done to help ease a child’s transition back to a rejected parent. Parental Alienation Syndrome to be highlighted on ABC’s 20/20 | Brainwashing Children. Colman’s Parental Alienation Research 6/4/2009 I wanted to analyze how the courts of Canada were addressing the challenge of parental alienation. With the assistance of some students, we looked into the two major case data bases: Quicklaw and E-Carswell (up to January 31, 2009). We endeavoured to summarize all of the cases where the court made a finding that Parental Alienation existed based on the facts of the particular case. Of the 50 mother alienator cases, the courts changed residence to the father target parent in 31 of them (62.0%). Of the 24 father alienator cases, the courts changed residence to the mother target parent in 19 of them (79.2%). Mother alienators have had residence changed 25/35 = 71.4% of the time. Father alienators have had residence changed 14/18 = 77.8% of the time. Recall from above that of the 50 mother alienator cases, the courts changed residence to the father target parent in 31 of them (62.0%). Of those 31 cases, the court granted access to the mother alienator in 26 of them (83.9%) and denied access to the mother alienator in only 5 of those 31 cases (16.1%). Recall from above that of the 24 father alienator cases, the courts changed residence to the mother target parent in 19 of those 24 cases (79.2%). Of those 19 cases, the court granted access to the father alienator in 12 cases (63.2%) and denied access to the father alienator in 7 (36.8%) of those 19 cases. Of the 50 mother alienator cases, the courts ordered counseling in 12 cases (24.0%). Of the 24 father alienator cases, the courts ordered counseling in 13 cases (54.2%). Where the mother was the alienator, she was ordered into some form of counseling on 7 of the 50 occasions, or 14%. Where the father was the alienator, he was ordered into some form of counseling on 7 of the 24 occasions, or 29.2%. Of the 16 cases during 2008 plus the one case reported in January 2009, the court ordered counseling in nine of them. Within those nine cases, the alienator was ordered into counseling in four of them and it was “suggested” that counseling be undertaken in two additional cases. I am happy to report that there is some reason to be optimistic with respect to how the law is developing in Canada. It would appear to me that the courts of Canada are increasingly taking more drastic measures to ameliorate the effects of parental alienation. From changing residence, to counseling for all concerned, to making contempt findings (not discussed in the above summary) – the tendency appears to be in favour of proactively addressing the problem. The conventional wisdom years ago was that “time heals”. It is my view (and that of many other professionals who have expertise in this area) that time often does not heal. Resolute action is required. Judges seem to be increasingly aware how important it is to ensure that children are enabled to have a relationship with both parents. Instituting procedural reforms in family courts so that high conflict cases such as P.A. cases are managed by one judge (case management exists on paper in some jurisdictions but it is rare for one particular judge to take full control of a case). I presented my research findings at the First International Symposium for Parental Alienation Syndrome in Toronto on March 27, 2009. A more comprehensive report is currently being prepared for publication. When I first discovered the term of Parental Alienation Syndrome, I thought that everyone was in agreement that it was valid since proof of alienating tactics can be seen in parents that train children to hate, and vilify the other parent. Isn’t it obvious that anyone who does this is mentally ill? To judges, attorneys and parents everyone seems to agree, a parent that does this to a child is an abuser. Since the vast majority of women have sole custody, most of the abusers are women. But Parental Alienationn is a gender-neutral sickness, because I have friends that are women that are alienated from the children. By the dads. Further reading showed that Parental Alienation Syndrome is generated and perpetuated by an axis of disorders listed in the current DSM book. These include paranoia, histrionic, and borderline disorders. There are a few more that can be added to this disorder, but I have read that these are the core disorders that make up this syndrome. The American Psychological Association uses a test, shortnamed the MMPI-II test that can actually indicate any of the above mentioned disorder exist. Collectively and through actions by the abusive parent, this makes up Parental Alienation Syndrome. By itself, the test does not indicate mental illness. But answers to the test point to actions and activities that mentally ill persons see as OK. Denial, lying, slander, libel, self-medicating, etc. are OK with these folk since to them, the end justifies the means. Sociopathic behavior is fine and dandy, with Parental alienators. For dozens of children’s and parent’s rights activists, a group of “Anon…..s.” or members of the Pig Pen as we call them spend their days attacking fathers and children through lies and slander. They also attack women from time to time, so women are “abusers,” too. They have also been creating fake IDs on Facebook, and joining father’s groups to stalk them there. Just recently, a person known as “Randi James” (not real name, obviously) was de-friend-ed by dozens of men (and a few women) when she spewed her bittternes against fathers in a comment thread on Facebook. Denial – Everyone else to blame for their problems. They are “victims” or “battered women”. Paranoia – Most alienates are paranoid and hide while they lie. they imagine they are being stalked. Lying – See 1, also they will say anything to win in family court, especially false allegations of abuse, etc. Besides lying in court, they when they blog, or write or when they talk to you. Hate – See, 1 2.3. above. There are some websites that glorify in blaming others for “their problems”. Primarily being no one believes them. Either they were “battered” women, or married to “abusers” or the children are now in the hands of “abusers”. You will also find vicious attacks on Dr. Richard Gardner (he is dead, it is OK to attack a dead person.) All the stuff about Dr. Garnder is made up. Attacks on fathers, activists for children, etc. are their primary targets. They go after live dads, too, but never with their own names, since they fear libel and slander laws. Despite the fact that women are playing on their “home field” in Family Court, these women of the “pig pen” lost a fight that bookies had them winning. Why is this? See the list above. Nuff said. Part 2 to come. Parents following divorce are called upon to cooperate with the other parent after divorce in case involving children. Those parents who cannot put aside the anger, hate, and mental illness problems usually wind up “abusing” the children by alienating them from the the other parent. “The alienating parent’s hatred can have no bounds. The severest form will bring out every horrible allegation known, including claims of domestic violence, stalking and the sexual molestation of the child. Many fathers say that there have been repeated calls to the Department of Family and Child Services alleging child abuse and neglect. In most cases the investigators report that they found nothing wrong. However, the indoctrinating parent feels that these reports are not fabrications, but very, very real. She can describe the horror of what happen in great detail. Regardless of the actual truth, in her mind, it did happen. For parents on the other end of this intense hatred from the “abusive” parent, most psychologist counsel being as actively involved with your children as possible, but sometimes, the psychological “battering” by the alienating parent eventually turns the child against the targeted parent. In some cases, the child loses all touch with reality, and becomes a carbon copy of the “abusive” parents and hates the everyone and the world. Family law takes up more court calendar time than any other form of law in California, yet it receives the least amount of funding. Moreover, the public’s trust and confidence in the family court system is lower than that of any other area of law the judicial system handles. The Elkins Family Law Task Force is conducting a comprehensive review of family law proceedings and will recommend to the Judicial Council of California proposals that increase access to justice for all family law litigants. The Task Force grew out of the Elkins decision referenced above–to learn more, click here and go to page 3. The Elkins Family Law Task Force recently issued its draft recommendations and Fathers & Families has submitted its official comments in response. Fathers & Families’ comments, which were submitted by F & F Board Member Elizabeth Barton, PhD of the University of California at Irvine, are here. Elkins’ recommendations concern 21 family court issues, including: Enhancing Mechanisms to Handle Perjury; the Right to Present Live Testimony at Hearings; Contested Child Custody; Streamlining Family Law Forms and Procedures; and numerous others. While Fathers & Families feels that many of the recommendations lack sufficient substantive detail, we believe that this will be addressed in the Task Force’s final recommendations to the Judicial Council in Spring 2010. We are encouraged that the recommendations address transparency, due process, and education. Many of the issues the Elkins Commission is taking up, such as conflict reduction, improving transparency, and protecting all parties’ due process rights, were first addressed by Fathers & Families’ legislative representative Michael Robinson during his work on AB 402 in 2006. AB 402, a family law bill sponsored by then-California Assemblyman Mervyn M. Dymally, codified collaborative law practice into our family law codes. The current adversarial litigation process escalates conflict between divorcing parents instead of reducing it. Collaborative Law is a better option. Among other provisions, AB 402 mandated a written statement of decision in all hearings or trials involving child custody. While this provision was already part of the Codes of Civil Procedure, it was not always being followed. Robinson also attempted to add provisions for stronger enforcement of child custody orders by adding a new SECTION. 4. Family Code 3022 as part of AB 402. There was strong support for this provision from the California Judges Association and the Family Law Section of the State Bar. This provision was lost, but Fathers & Families is continuing to pursue this goal in Sacramento. You have no idea how many children’s college educations I have seen unnecessarily wasted in my court room. This must be stopped. Fathers & Families will continue its close monitoring of the Elkins Task Force and will be reporting on future developments. The next event is the Task Force’s two-day meeting February 1 & 2, 2010 in the Judicial Council Conference Center of the Administrative Office of the Courts in San Francisco. Fathers & Families will have a representative speaking at this meeting, and will post its presentation on our E-Newsletter and on www.FathersandFamilies.org. Fathers & Families is also working on 2010 legislation to codify some of the Elkins Task Force’s most important recommendations–stay tuned for more details. California law has an enormous impact on the laws of other states, as well as federal law. For example, many of the misguided domestic violence laws that have separated so many innocent fathers from their children emanated from the legislation passed in California in the mid-1990s in the wake of the OJ Simpson trial. In addition, many of those reading this participated in our successful 2005 campaign to pass California SB 1082, a military parents bill. Since then 30 states have passed bills based in part on SB 1082. Fathers & Families is the only family court reform organization with a fulltime lobbyist working inside the capitol of California or any other major state, and we probably have the only fulltime family court reform lobbyist in the country. This important work costs money–please support it by giving here. The family court system has become so damaging and dysfunctional because for 40 years our opponents have passed, defeated, and amended legislation while our side usually didn’t show up. We’re there now, and we’re growing stronger–become a part of it by filling out our Volunteer Form here. This entry was posted on Monday, December 7th, 2009 at 5:33 pm	and is filed under Bills/Initiatives, Elections, Politics, Court Cases, Fathers & Families Advocacy Group. You can follow any responses to this entry through the RSS 2.0 feed. Responses are currently closed, but you can trackback from your own site. Fathers & Families Files Official Response to Elkins Task Force Recommendations on California Family Law Reforms « Fathers & Families. Bob Geldof has launched an outspoken attack on the family courts system accusing it of routinely allowing “state sponsored kidnap” of vulnerable children. The singer and anti-poverty campaigner described the current child custody laws as “barbaric and abusive” and dismissed the system as a “disgraceful mess”. He claimed that children’s futures are being decided on the basis of “mumbo jumbo” and “social engineering” with devastating long-term consequences for society. Mr Geldof, who fought for custody of his three daughters from his former wife Paula Yates, also alleged that British courts “consistently” show bias against men by handing custody to mothers. His comments come in the foreword to a new report which draws together a clutch of recent research on the psychological effects of break-up on children. The paper, published by The Custody Minefield, an internet legal advice service, and supported by Families Need fathers, the campaign group, calls for a change in the law on relocation cases in which separated parents apply for permission to move elsewhere. It calls for the current guidelines to be changed to include an explicit ban on decisions favouring mothers on grounds of gender. The report lists a raft of academic research which it says shows that children with no paternal influence are more likely to have behavioural problems, lower exam results, mental health problems, and even lower IQs. It follows a recent study which found that up to a third of children whose parents separate lost touch with their father permanently. “In the near future the family law under which we endure will be seen as barbaric, criminally damaging, abusive, neglectful, harmful to society, the family, the parents and the children in whose name it purports to act,” wrote Mr Geldof. He described the system as: “A farrago of cod professionalism and faux concern largely predicated on nonsensical social guff, mumbo-jumbo and psychobabble. Presented with two women who both claimed to be the mother of a baby, Solomon is said to have suggested cutting the child in half. One of them immediately begged him to give the baby to her rival, demonstrating that she was the true mother. A spokesman for the Ministry of Justice said: “We are creating a family court system that is transparent, accountable, and inspires public confidence in its good work, whilst still protecting the privacy of children and families involved. “That is why we have allowed greater media access to family courts which will lead to greater trust. We have also increased access to out of court family mediation by putting information about divorce, relationship breakdown and the family courts, and a link to the Family Mediation Helpline website, on the DirectGov website. ‘Barbaric’ family courts behind ‘state sponsored kidnap’ – Bob Geldof – Telegraph. Many father’s and families rights activists hear the term protective parents used by those parents who make false allegations in court all the time. 1. Never make allegations against the other parent in court, and NEVER make them in the presence of their children. 2. Never refer to themselves as protective parents. It is a code word, listed below. 3. Support efforts to have Parental Alienation recognized by courts and the American Psychological Association, and never keep a child away from the other. 4. Never refer to their ex-spouse as abuser, drug addict, alcoholic, neither in court, on the Internet, and NEVER before their children. 5. Encourage the children to see the other parent, actively support the children’s involvement with the other parent. 6. Cooperate with the other parent to raise the children through co-parenting. 7. Never use a restraining order against the other parent as a sword, instead only obtain one as a shield for themselves alone. The term protective parent is code word that non-custodial mothers groups invented after losing their children in family court action when they violated one of the basic cannons recognized by family court as be a fit parent. On Tuesday 01 December 2009 I attended a discussion forum on the proposed constitutional amendment to cap property taxes. The event was hosted by the Meridian-Kessler Neighborhood Association with the help of Aaron Smith of WatchDog Indiana. Senators, Breaux, Schnieder and Taylor along with Representatives Delaney and Noe attended the event. There was lively discussion and debate about the merits of and potential problems with a constitutional limit on property taxes. Although I live in Lebanon now, I grew up in the MKNA area. This provided an opportunity to see quite a few people I know and to also make some new acquaintances. But, taxes are not my issue so I will move on to child custody issues. Before and after the event I had the opportunity to speak with most of the legislators. Senator Schneider is the state’s newest senator after having replace Terresa Lubbers in August of this year. Lubbers took a job as the Indiana Commissioner for Higher Education. Senator Schneider is a fiscal conservative who expressed interest in child custody matters and would like to be included in our efforts. Senator Taylor and I spoke about some legislation that we have been working on since the last session. Senator Taylor sat on the Indiana Child Custody and Support Advisory Committee [ICCSAC] as a freshman member this year. He believes that he will be able to sponsor two of our bills. Representative Noe and I discussed family law issues in general and where we would like to see Indiana headed in that arena. Representative Noe is the legislator I have worked with the longest on child custody issues. She is very firmly is support of children having access to and the care and support of both parents and other child-friendly legislation. She may be able to sponsor a bill for us although limited to only five this session. On Tuesday I spoke with Senator Boots about a bill that I proposed to bring conformity to Indiana’s adoption and paternity laws. Back in July of this year I wrote about the rare but important need for this bill and contacted Senator Boots then. I am very appreciative that Senator Boots had submitted that bill on Monday. I do believe that this bill will go through the Senate Judiciary Committee chaired by Senator Bray. I am confident that Senator Bray will set this bill for a hearing and that, with proper testimonial support, it will get passed. I would appreciate anyone having experience as a party, especially pro se, or attorney who has filed a paternity action while an adoption action involving the same child was pending to please contact me. Indiana Custodial Rights Advocates currently has six bills we are seeking to get passed during this short session of the General Assembly. We would like to have the remaining five bills submitted by opening day on 05 January 2010. We are starting to make substantive progress to make Indiana a more child-friendly state but do need additional help. If you can do as little as forward an email please contact us. Members of the Indiana Custodial Rights Advocates will be meeting again on 21 December 2009 at 7:30pm at the Marrott in Indianapolis. Our legislative liaisons will be attending the opening day of the second session of the 116th Assembly at the State House on Tuesday, 05 January 2010. If you would like to assist us or meet your legislators on opening day please contact me. ©2009 Stuart Showalter, LLC. Permission is granted to all non-commercial entities to reproduce this article in it’s entirety with credit given. Stuart Showalter Law Blawg: Custody discussions with Legislators this week. Again, to tell your story, click here. 1) Keep the focus on your child(ren) and how the Parental Alienation has harmed them. 2) Stick to the facts related to the Parental Alienation. 4) Fill in all fields on our form. 1) What is Parental Alienation? Parental Alienation is a disorder that arises primarily in the context of divorce/separation and/or child-custody disputes. Its primary manifestation is the child’s campaign of denigration against a parent, a campaign that has no justification. It results from the combination of a programming (brainwashing) of a parent’s indoctrinations and the child’s own contributions to the vilification of the targeted parent. Parental Alienation is also sometimes referred to as “Parental Alienation Disorder” or “Parental Alienation Syndrome.” To learn more, click here. 2) Most claims of Parental Alienation are made by divorced or separated fathers. When fathers have custody of their children, do they sometimes alienate them from the noncustodial mothers? Yes, both genders can be perpetrators and victims of Parental Alienation, but those hurt the worst are always the children, who lose one of the two people in the world who love them the most. 3) Do fathers (or mothers) sometimes make false claims of Parental Alienation against mothers (or fathers)? Yes. There are parents who have alienated their own children through their abuse or personality defects, and who attempt to shift the blame to their former spouses or partners by falsely claiming the other parent alienated the children from them. 4) How common is Parental Alienation? Parental Alienation is a common, well-documented phenomenon that is the subject of numerous studies and articles in peer-reviewed scholarly journals. A longitudinal study published by the American Bar Association in 2003 followed 700 “high conflict” divorce cases over a 12 year period and found that elements of PA were present in the vast majority of the cases studied. Some experts estimate that there are roughly 200,000 children in the U.S. who have PAD, similar to the number of children with autism. To learn more, click here. 5) Opponents of recognizing Parental Alienation claim that abusive fathers often employ Parental Alienation as a way to wrest custody from protective mothers in family court. They’ve promoted several cause celebre cases in recent years as a way to garner public sympathy and political support for their agenda. Is their portrayal of these cases accurate? No–most of these cases are being misrepresented by opponents of recognizing Parental Alienation. Examples include: Genia Shockome (publicized by Newsweek magazine and others); Sadia Loeliger (one of the alleged heroines of a 2005 PBS documentary called Breaking the Silence: Children’s Stories; and Holly Collins (publicized by Fox News, Inside Edition and others.) In each of these three cases, opponents of recognizing Parental Alienation badly misrepresented the cases, turning reality on its head. To learn more about these cases, click here and here. Despite this, opponents of recognizing Parental Alienation push for reforms which will make it easier to deny parents shared custody or visitation rights based on unsubstantiated abuse claims. They also push for laws to exclude evidence of Parental Alienation in family law proceedings. One example is California AB 612, a bill that a bill that would have prevented target parents of Parental Alienation from raising PA as an issue in their cases. In 2007 and 2009, Fathers & Families’ legislative representative Michael Robinson helped build a professional coalition to scuttle AB 612. 6) Opponents of recognizing Parental Alienation, as well as some mental health professionals, claim that Parental Alienation should not be recognized by DSM as a mental disorder. What’s Fathers & Families’ position on this aspect of the issue? Many intelligent, accomplished mental health authorities do believe that Parental Alienation Disorder should be considered a mental disorder, but there are also credible experts who do not. DSM has accepted several relational disorders, such as Separation Anxiety Disorder and Oppositional Defiant Disorder, and PAD is a typical relational disorder. Any target parent of Parental Alienation would certainly believe that his or her child’s sudden, irrational hatred constitutes some sort of a mental disorder. In Parental Alienation Disorder and DSM-V, numerous mental health authorities make the case for including PAD–to learn more, click here. Nonetheless, Fathers & Families’ emphasis is not on these technical aspects of the issue, but instead on the harm Parental Alienation does to children. The malignant behavior of alienating a child from his or her mother or father after a divorce or separation is a widespread social problem which merits a much more vigorous judicial and legislative response. 7) How will children caught in Parental Alienation be helped if Parental Alienation is included in DSM V? Inclusion of Parental Alienation in DSM V will increase PA’s recognition and legitimacy in the eyes of family court judges, mediators, custody evaluators, family law attorneys, and the legal and mental health community in general. Psychiatrist William Bernet says that adding PA “would spur insurance coverage, stimulate more systematic research, lend credence to a charge of parental alienation in court, and raise the odds that children would get timely treatment.” To learn more, click here. 8) What is the child’s part in PAS? The child denigrates the alienated parent with foul language and severe oppositional behavior. The child offers weak, absurd, or frivolous reasons for his or her anger. The child is sure of him or herself and doesn’t demonstrate ambivalence, i.e. love and hate for the alienated parent, only hate. The child exhorts that he or she alone came up with ideas of denigration. The “independent-thinker” phenomenon is where the child asserts that no one told him to do this. The child supports and feels a need to protect the alienating parent. The child does not demonstrate guilt over cruelty towards the alienated parent. The child uses borrowed scenarios, or vividly describes situations that he or she could not have experienced. Animosity is spread to the friends and/or extended family of the alienated parent. In severe cases of parent alienation, the child is utterly brain-washed against the alienated parent. The alienator can truthfully say that the child doesn’t want to spend any time with this parent, even though he or she has told him that he has to, it is a court order, etc. The alienator typically responds, “There isn’t anything that I can do about it. I’m not telling him that he can’t see you.” (excerpted from Dr. Jayne A. Major’s Parents Who Have Successfully Fought Parental Alienation Syndrome). 9) Are there varying degrees of Parental Alienation? Yes. Dr. Douglas Darnall, in his book Divorce Casualties: Protecting Your Children from Parental Alienation, describes three categories of PA. The moderate category is the active alienators. When they are triggered, they lose control of appropriate boundaries. In the severe category are the obsessed alienators or those who are involved in PAS. They are committed to destroying the other parent’s relationship with the child. In the latter case, Dr. Darnall notes that we don’t have an effective protocol for treating an obsessed alienator other than removing the child from their influence. An important point is that in PAS there is no true parental abuse and/or neglect on the part of the alienated parent. If this were the case, the child’s animosity would be justified. (excerpted from Dr. Jayne A. Major’s Parents Who Have Successfully Fought Parental Alienation Syndrome). Parental Alienation Disorder and DSM-V was written by psychiatrist William Bernet, M.D., Wilfrid v. Boch-Galhau, M.D., Joseph Kenan, M.D., Joan Kinlan, M.D., Demosthenes Lorandos, Ph.D., J.D., Richard Sauber, Ph.D., Bela Sood, M.D., and James S. Walker, Ph.D. In it, they make the case for including Parental Alienation Disorder in DSM V.
Their proposal was submitted to the Disorders in Childhood and Adolescence Work Group for the Diagnostic and Statistical Manual of Mental Disorders, Fifth Edition in August of 2008. Below are some excerpts from their paper. Relational disorders are being considered for DSM-V, and PAD is an exemplar of this type of mental disorder. Despite controversies regarding terminology and etiology, the phenomenon of PAD is almost universally accepted by mental health and legal professionals. Research indicates that PAD is a valid and reliable construct. Establishing diagnostic criteria will make it possible to study PAD in a more systematic manner. Establishing diagnostic criteria will reduce the opportunities for abusive parents and unethical attorneys to misuse the concept of PAD in child custody disputes. Establishing diagnostic criteria will be helpful for: clinicians who work with divorced families; divorced parents, who are trying to do what is best for their children; and children of divorce, who desperately need appropriate treatment that is based on a correct diagnosis. The phenomenon of PAD has been described in the mental health literature for at least 60 years and the concept is almost universally accepted by psychiatrists, psychologists, and social workers who evaluate and treat these children. Also, the concept of parental alienation is generally understood and accepted by legal professionals. The symptoms of PAD were described in the mental health literature long before Richard Gardner coined the term “parental alienation syndrome” (in 1985). In 1949, Wilhelm Reich wrote in his classic book, Character Analysis, that some divorced parents defend themselves against narcissistic injury by fighting for custody of their child and defaming their former spouse. These parents seek “revenge on the partner through robbing him or her of the pleasure in the child. … In order to alienate the child from the partner, it is told that the partner is an alcoholic or psychotic, without there being any truth to such statements”. In 1952, Louise Despert referred in her book, Children of Divorce, to the temptation for one parent “to break down” their child’s love for the other parent. In 1980, Judith Wallerstein and Joan Kelly referred to an alliance between a narcissistically enraged parent and a particularly vulnerable older child or adolescent, who “were faithful and valuable battle allies in efforts to hurt and punish the other parent. Not infrequently, they turned on the parent they had loved and been very close to prior to the marital separation”. In 1994, the American Psychological Association published “Guidelines for Child Custody Evaluations in Divorce Proceedings”…the authors of the guidelines provided a bibliography of “Pertinent Literature,” which included The Parental Alienation Syndrome and two other books by Richard Gardner. There has been an enormous amount of research on the psychosocial vicissitudes of children of divorced parents, including children with PAS. The most exhaustive single volume regarding PAS is The International Handbook of Parental Alienation Syndrome, published in 2006. More than 30 mental health professionals wrote chapters for this book, including authors from Australia, Canada, Czechoslovakia, England, Germany, Israel, Sweden, and the United States. We conclude that mental health professionals (taken as a group) and the general public recognize parental alienation as a real entity that deserves considerable attention. In general, PAD is more likely to occur in highly conflicted, custody-disputing families than in community samples of divorcing families. Even in highly conflicted divorces, only the minority of children experience PAD. The following studies indicate that approximately 25% of children involved in custody disputes develop PAD. Johnston – in California – found that 7% of the children in one study and 27% of the children in a second study had “strong alignment” with one parent and rejection of the other parent. Kopetski – in Colorado – found that 20% of families involved in custody disputes manifested parental alienation syndrome. Nicholas reported that 33% of families involved with custody disputes manifested parental alienation syndrome, based on a survey of 21 custody evaluators. Berns reported a study of divorce judgments in Brisbane, Australia, and said parental alienation syndrome was present in 29% of cases. The prevalence of PAD can be roughly estimated as follows. The U.S. Census Bureau says approximately 10% of children under age 18 live with divorced parents. Approximately 10% of divorces involve custody or visitation disputes. Approximately 25% of children involved in custody or visitation disputes develop PAD. Multiplying these percentages yields a prevalence of 0.25%, or about 200,000 children in the U.S. For comparison purposes, this prevalence is the same order of magnitude as the prevalence of autism spectrum disorders. [Despite controversy] There is consensus among almost all mental health professionals who have written about parental alienation regarding the following: (1) PAD is a real entity, that is, there really are children and adolescents who embark on a persistent campaign of denigration against one of the parents and adamantly refuse to see that parent, and the intensity of the campaign and the refusal is far out or proportion to anything the alienated parent has done. (2) There are many causes of visitation refusal, and PAD is only one of them. (3) PAD is not the correct diagnosis when the child’s visitation refusal is caused by child maltreatment or serious problematic behavior of the alienated parent. PAS fits a basic pattern of many psychiatric syndromes. Such syndromes denote conditions in which people who are exposed to a designated stimulus develop a certain cluster of symptoms. ‘Posttraumatic stress disorder’ (PTSD) refers to a particular cluster of symptoms developed in the aftermath of a traumatic event. … These diagnoses carry no implication that everyone exposed to the same stimulus develops the condition, nor that similar symptoms never develop in the absence of the designated stimulus. … Similarly, some, but not all, children develop PAS when exposed to a parent’s negative influence. Other factors, beyond the stimulus of an alienating parent, can help elucidate the etiology for any particular child. Bernet & Co. also address the important issue of the misuse of PA/PAD. As we’ve often noted, claims of Parental Alienation can be used by abusive parents as a cover for their abuse, such as in the Joyce Murphy case. More commonly, one parent may have damaged his or her relationships with his children due to his or her own personality problems, narcissism, substance abuse issues, erratic behavior, etc., but then, rather than assuming responsibility for his or her actions, instead blames the bad relationship on the other parent, under the rubric of Parental Alienation. Fathers & Families sometimes hears from parents, usually mothers, who say that they are being unfairly blamed for the deterioration of their children’s relationships with their former partners, who claim Parental Alienation. We believe that these are legitimate concerns. Having established criteria for the diagnosis of PAD will eliminate the Babel of conflicting terminology and definitions that currently occurs when parental alienation is mentioned in a legal setting. More important is that the entry regarding PAD in DSM-V will include a discussion of the differential diagnosis of visitation refusal. It will be clear that the clinician should consider a number of explanations for a child’s symptom of visitation refusal and not simply rush to the diagnosis of PAD. Also, it will be clear that the diagnosis of PAD should not be made if the child has a legitimate, justifiable reason for disliking and rejecting one parent, for instance, if the child was neglected or abused by that parent. We believe that when everybody involved in the legal procedures (the parents, the child protection investigators, the mental health professionals, the attorneys, and the judge) has a clear, uniform understanding of the definition of PAD, there will be fewer opportunities for rogue expert witnesses and lawyers to misuse the concept in court. What really matters is whether PAD is a real phenomenon, a real entity. If PAD is a real clinical entity, it should be included in the DSM. If PAD is a real clinical entity, the possibility that the diagnosis will sometimes be misused should not be a primary or serious consideration. [T]he psychiatric diagnosis that is most misused in legal settings is posttraumatic stress disorder. In personal injury lawsuits, the diagnosis of posttraumatic stress disorder in an alleged victim is used to prove that the individual actually sustained a severe trauma. Also, military veterans and workers’ compensation claimants sometimes malinger posttraumatic stress disorder in order to receive disability benefits. However, we are not aware that anybody has ever proposed that posttraumatic stress disorder should be deleted from the DSM because it is sometimes misused. The authors of this proposal believe that if PAD were an official diagnosis, counselors and therapists from all disciplines will become more familiar with this condition. As a result, children with PAD will be identified earlier in the course of their illness while it is more easily treated and even cured. Also, if PAD were an official diagnosis (with clear criteria for the diagnosis and for severity of the condition), it will be possible to conduct coherent research regarding its treatment. parenting time with the alienated parent. academic (occupational), or other important areas of functioning. NEW CAMPAIGN: Ask DSM to Include Parental Alienation in Upcoming Edition « Fathers & Families. Last updated on 11/29/2009 at 10:50 p.m. When President Clinton signed into law the Adoption and Safe Families Act on Nov. 19, 1997, he unbalanced the scales of justice and removed the blindfold of Themis. A change of philosophy was at hand. No longer did courts seek family preservation; instead, prompted by an extreme minority of neglectful parents, the courts now choose to terminate the parental rights’ of parents that are allegedly harmful. On Nov. 24, 2009, I interviewed Chicago’s fathers’ rights author, activist and attorney Jeffery Leving about my perception of Themis as a sexist. “When I started in 79, non-custodial fathers were a class of human beings badly discriminated against, and no one cared. Every once in a while I change a law, reunite a father with his child, and it inspires me and gives me hope for future changes,” Leving said. A precedent of sexism seems almost too obvious within our family courts. “There has been a long history of discrimination in our legal system. Non-custodial men anger people in the position’s power. A judge told me, ‘If a father is accused of abuse, even if he did not do it, he did something else.’ Another judge said, ‘Men are biological requirements, but social accidents,’” Leving said. The father’s right’s attorney went on to express how society’s expectation of a man’s responsibility is hypocritical. Society wants a man to be responsible while they actually believe he isn’t. So, it is obvious that men are not equal in divorce and parental right cases. Due to gender stereotypes in society, women tend to have it much easier. Although the mother physically carries and gives birth to the child, the paternal father’s consent should also be held with high respect as well. Besides prejudice, money is a big issue. Leving explained that children are worth a lot of money and the adoption agency is a multi-billion dollar industry. Couples unable to have children of their own will pay any cost in order to get a child. This puts the many young fathers at a disadvantage, since they hardly have the money to compete with both the adoption agency and eager couples. When it comes to family court rulings and rights of the paternal father, the situation is plainly unfair. Sure there are circumstances to each individual situation, but the entire system is in dire need of evaluation. Northern Star Online: Fathers’ rights are unfairly discriminated against in family courts.